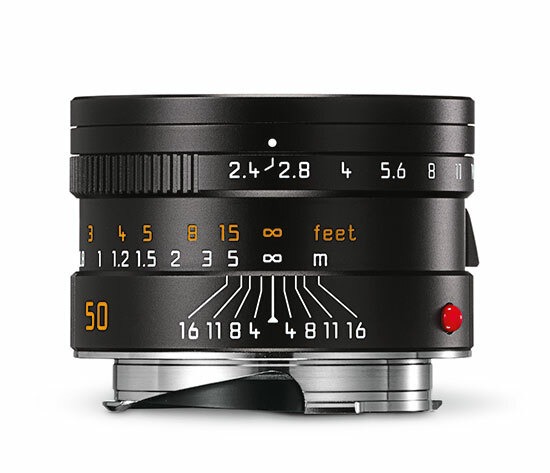 Leica Camera AG, Wetzlar, now offers two of the fastest Leica M-Lenses, the Leica Noctilux-M 50 mm f/0.95 ASPH. 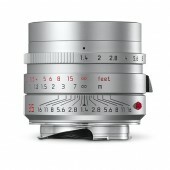 and the Leica Summilux-M 35 mm f/1.4 ASPH., in an alternative silver anodised finish. The technical specifications of both lenses are identical to those of their serially produced counterparts. Whether in classic black or elegant silver, the two lenses offer exceptional imaging performance and enormous versatility, particularly when shooting in available light. 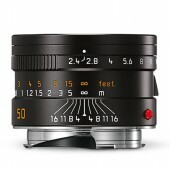 As the world’s fastest aspherical lens, the Leica Noctilux-M 50 mm f/0.95 ASPH. represents a milestone in lens construction and possesses a unique performance spectrum. At its maximum aperture, its extremely shallow depth of field enables the creation of portraits and detail studies characterised by inimitable aesthetic qualities. When used for available-light photography, the lens actually exceeds the perceptive capabilities of the human eye and delivers outstanding imaging results. Due to the very natural reproduction of perspectives and proportions by its 50 mm focal length, it is also an ideal universal lens that allows true-to-life rendition of subjects under normal lighting conditions. The Summilux-M 35 mm f/1.4 ASPH. combines a moderate wide-angle character with natural reproduction of proportions and is therefore also an extremely versatile lens. Regardless of whether it’s a matter of selective focus in the close-up range, high-contrast available-light applications or landscape shots with immense depth of field, the lens delivers persuasive arguments in any situation. 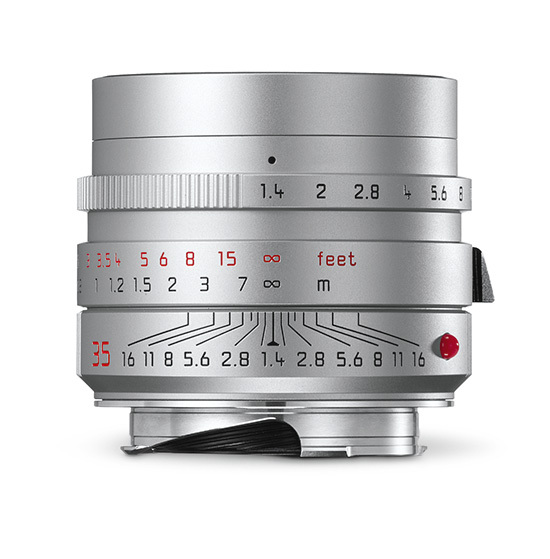 Its focal length of 35 mm, the classic for reportage photography, makes it ideal as the first lens for newcomers to Leica M-Cameras, while its low weight and particularly compact size make it perfect as part of a lightweight M-System for travel photography. 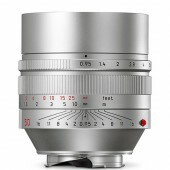 As is the case for all Leica lenses, the Leica Noctilux-M 50 mm f/0.95 ASPH. and the Leica Summilux-M 35 mm f/1.4 ASPH. are designed and constructed by Leica optical specialists and combine the best of optical and mechanical expertise. As particularly reliable products with enduring value, they are made in Germany from only the finest materials and assembled in an elaborate process entirely by hand. The combination of cutting-edge technologies and painstaking manufacturing procedures guarantees consistently excellent quality. Both lenses in silver anodised finish will be available from authorised Leica dealers from the end of October 2014. Leica Camera AG, Wetzlar, presents a new generation of Leica Summarit-M-Lenses. In comparison with the previous models, these new lenses with a maximum aperture of f/2.4 offer improved performance characteristics and new lens design. 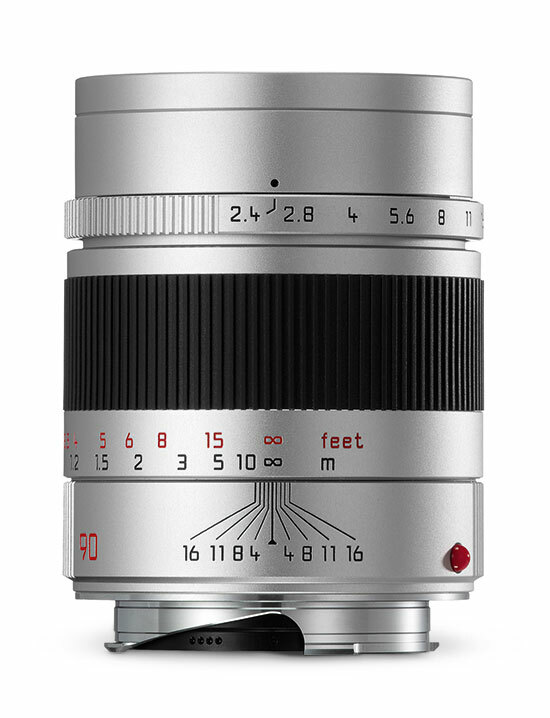 The range of focal lengths available in the Leica Summarit-M-Lens family remains the same, with 35, 50, 75 and 90 mm. For the first time, they are now available in a choice of black and silver anodised finishes. Manufactured using cutting-edge technologies, the Leica Summarit-M-Lenses provide exceptional imaging quality in all photographic situations. As is the case for all Leica lenses, they are designed and constructed by Leica optical specialists and combine the best of optical and mechanical expertise. As particularly reliable products with enduring value, they are made in Germany from only the finest materials and assembled in an elaborate process entirely by hand. The combination of cutting-edge technologies and painstaking manufacturing procedures guarantees consistently excellent quality. 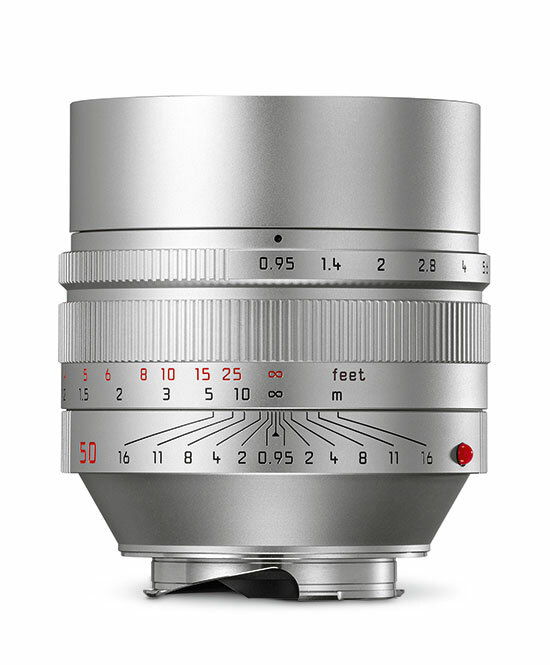 In summary, in the Leica lens portfolio, the Leica Summarit lenses represent an ideal compromise between lens speed and compact size. 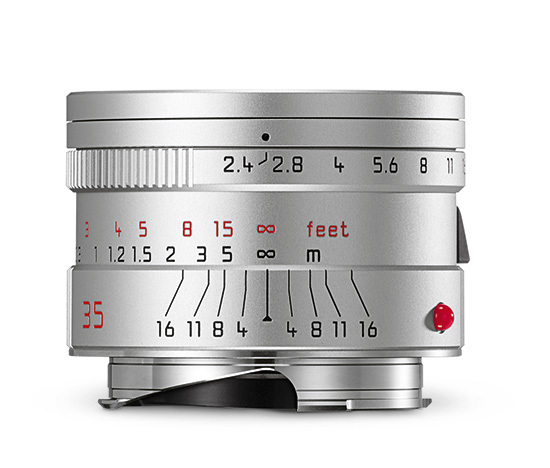 The universal Leica Summarit-M 35 mm f/2.4 ASPH. 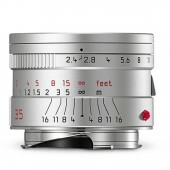 is the smallest and lightest 35 mm lens in the Leica rangefinder system. 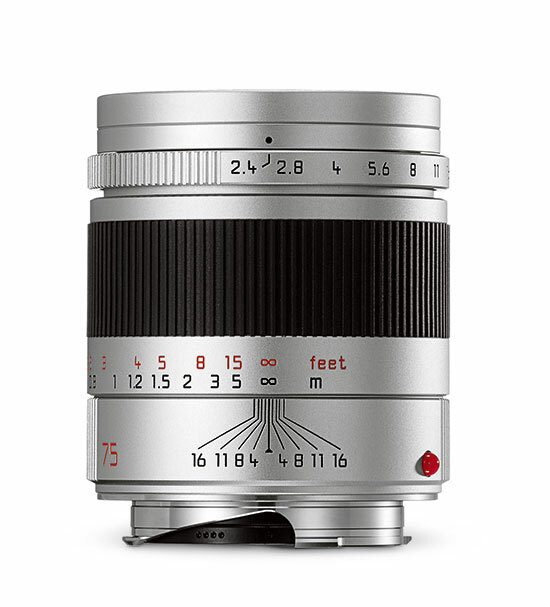 It is the only lens of the new generation of Leica Summarit-M-Lenses to feature an aspherical lens element. 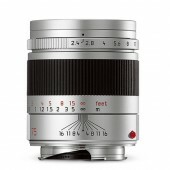 Its high performance, light weight and easy handling make the Leica Summarit-M 50 mm f/2.4 ASPH. a particularly versatile lens. The angle of view of this lens corresponds to the field of view and normal vision of the human eye and offers impressively neutral and natural perspectives and proportions. It delivers high contrast, perfect image field flatness and impressive colour correction. The Summarit-M 75 mm f/2.4 is significantly more compact than other M-Lenses with similar focal lengths and achieves outstanding imaging performance. In comparison to its predecessor, the new lens now has a closest focusing distance of only 0.7 m. In combination with the 35 mm Summarit-M, it makes up an ideal pair of lenses for exploring the fascinating world of creative image composition. 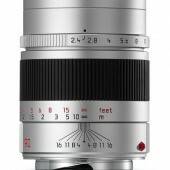 The Leica Summarit-M 90 mm f/2.4 rounds off the family of Summarit-M-Lenses with an extremely versatile telephoto lens. This particularly compact lens offers ideal handling and is characterised by exceptional optical and mechanical quality. The closest focusing distance was reduced for this lens, too, to 0.9 m.
The 75 and 90 mm Leica Summarit-M-Lenses will be available from authorised Leica dealers from September on and will be followed by the 35 and 50 mm lenses from October. The lenses are sold complete with a lens hood and a metal lens cap. 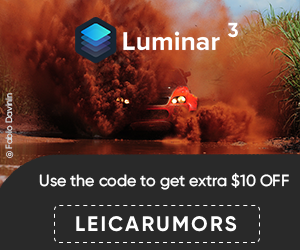 This entry was posted in Leica Lenses and tagged Noctilux, Photokina 2014. Bookmark the permalink. Trackbacks are closed, but you can post a comment.